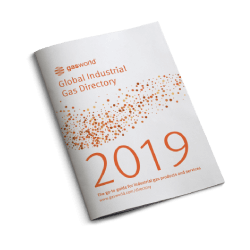 With headquarters in Malmö, Sweden, GCE is a leader in European gas equipment, offering full solutions for general industrial, healthcare, high-purity and science and research applications. ESAB Welding & Cutting Products is a recognised leader in the welding and cutting industry. News of the acquisition comes at a time of brisk mergers and acquisitions (M&A) activity within the industrial gas and equipment business, but also brings to mind another trend; as with a number of other M&A deals in recent years, ESAB’s purchase of GCE sees the latter essentially go full circle. GCE was formed in 1987 out of a merger between the welding businesses of AGA and ESAB, and embarked on a vigorous path of development and acquisition activity that really took shape after the fall of the Berlin Wall in November 1989. Just two years later, in 1991, the opportunity arose for the company to purchase a firm in the Czech Republic, then Czechoslovakia which did not reach fruition for more than year but would prove to be worth the wait, as the facility would go on to become the heart of GCE’s manufacturing operations and logistics. In the years that followed the company continued to pursue a path of acquisitions throughout Europe, and also branch out into the fast-growing China market in the early 2000s, initially starting its North Pacific operations from a small office and just three people in the Swedish Chamber of Trade and Commerce facility in Shanghai. 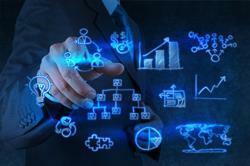 A major event in the history of GCE occurred in 2004 when the ownership of the company changed again. 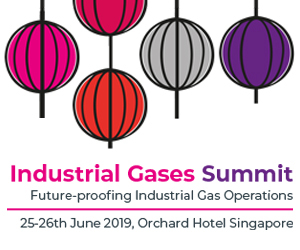 Whilst the group was formed out of a joint venture of the welding/gas equipment businesses of AGA and ESAB, changes to both of these parent companies themselves resulted in GCE facing divestiture. 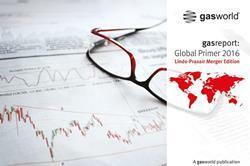 Linde acquired AGA and Charter acquired ESAB, with GCE no longer considered a core business for its owners and subsequently being sold to venture capitalist company Triton in 2004. 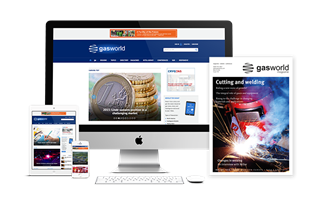 Only a year later, GCE was snapped up by Bank of America Capital Partners Europe – now Argan Capital – which still owned around 85% of the company at the time of a 25th anniversary interview with gasworld magazine in 2012. 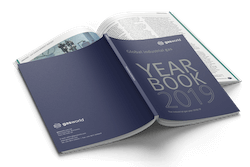 That period of change between 2004/5 saw Michael Hermansson installed as the company’s new CEO and pursue growth on a global basis; a significant footprint that now includes operations in China and India, as well as in Latin America. Hermansson explained in his interview with gasworld that GCE had made significant strides forward in the emerging markets, with GCE China having matured into a slick export operation that exports up to 90% of the products manufactured in the People’s Republic to other regions or geographies, and Latin America having become a strong manufacturing hub for GCE, with an office in Panama servicing customers in 32 countries across the region – including sales in Chile, Ecuador and Peru. 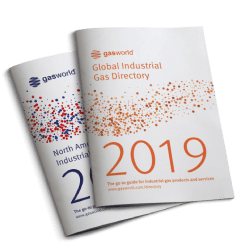 At the time of our interview, larger long-term prospects for GCE were to be found in Brazil, Mexico, Colombia and Argentina, gasworld understood. ESAB’s acquisition of GCE also marks another change in ownership of a company in the cutting and welding space that’s close to home for the industrial gas and equipment business. Victor Technologies, formerly known as Thermadyne Holdings Corporation, acquired the UK-based Gas-Arc Group in November 2013 in a deal worth around $40m. 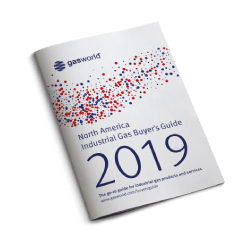 Gas-Arc’s portfolio includes branded gas control products that meet specialty gas application requirements as well as cutting and welding equipment for the industrial, laboratory and medical gas control markets. Gas-Arc continued to operate under its own name. Victor Technologies was then sold itself in February 2014 to Colfax Corporation, a global manufacturer of gas and fluid-handling and fabrication technology products. From reliable high productivity processes in welding and cutting to revolutionary technologies in mechanized cutting and automation, ESAB’s filler metals, equipment, and accessories bring innovative solutions to customers around the globe. ESAB, a leader in welding and cutting technologies, will be on stand number A116 in Hall 4 at Industrie Lyon, which takes place from 4-7 April at EUROEXPO LYON, France. 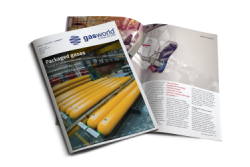 “If we continue to put our customers first, we’ll make the next 25 years as successful as the past,” Michael Hermannson (CEO) and Mike Galvin (North Europe Regional Manager) enthuse in an interview with gasworld magazine.